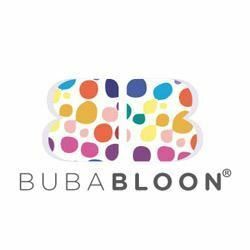 Bubabloon is an English brand that has developed a special fabric that allows an ordinary balloon transforming into a safe, durable, washable and reusable toy balloon. Typical of the Bubabloon are the designs and the beautiful bright colours. The Bubabloon is lightweight, stimulates motorial learning and is easy to take with you. A safe and great toy for children, but also for adults.